Singapore, 18 December 2018 (Tuesday) – Associate Professor Steven Hoi from the School of Information Systems (SIS) at Singapore Management University (SMU) has been elevated to IEEE Fellow with effect from 1 January 2019. He is being recognised for his contributions to machine learning for multimedia information retrieval and scalable data analytics. The IEEE Grade of Fellow is conferred by the IEEE Board of Directors upon a person with an outstanding record of accomplishments in any of the IEEE fields of interest. The total number selected in any one year cannot exceed one-tenth of one- percent of the total voting membership. IEEE Fellow is the highest grade of membership and is recognised by the technical community as a prestigious honour and an important career achievement. The number of newly elevated IEEE Fellows under age 40 is very rare, and Prof Hoi belongs to this youngest category of new IEEE Fellows this year. One area of his early research in machine learning methodology is active learning, a machine learning paradigm that can significantly reduce human effort in real-world AI applications. Prof Hoi and his co-authors were the first to coin the concept of Batch Mode Active Learning (BMAL), and apply the technique for real-world applications, including Content-Based Image Retrieval (CBIR) and beyond. Unlike traditional active learning methodology that is designed to select one single instance at each iteration, BMAL is optimised to simultaneously select multiple informative instances to maximize the efficacy of machine learning tasks. This line of research by Prof Hoi and his fellow researchers has inspired and influenced many studies and applications in this area. Another area of his fundamental research in machine learning is online learning, which is a subfield of machine learning. In contrast to traditional machine learning paradigms that typically learn in a batch fashion, online learning is particularly suitable for large-scale data stream analytics, where data arrives sequentially with high velocity and high variety. Prof Hoi has made important contributions for online learning research for both theory and methods, and has been recognised as one of the active and leading machine learning researchers with significant contributions to this area. Besides the fundamental research in machine learning methodologies, Prof Hoi also investigates the applications of machine learning techniques to address real-world challenges according to different application domains, including multimedia information retrieval, computer vision and pattern recognition, social media analytics, web search and data mining, computational finance, bioinformatics and medical imaging, cybersecurity intelligence, mobile and software mining, and healthcare intelligence. For example, Prof Hoi and his fellow researchers have proposed a novel paradigm of image retrieval, termed Collaborative Image Retrieval, that explores machine learning techniques in bridging the semantic gap by mining the logs of user’s search history. This paradigm helps to tackle a fundamental challenge in multimedia retrieval, which is the semantic gap between semantic meaning and low level features of multimedia data. Another example is in the area of computer vision and pattern recognition. Prof Hoi and his fellow researchers have developed food image recognition using deep learning, and applied this to automated food logging applications, called “FoodAI”. This technology has been successfully transferred to be incorporated into Health Promotion Board’s Healthy365 app to facilitate smart food logging by the app’s users. After a user has taken a photo of the food using the camera in the Healthy365 app, the FoodAI technology embedded in the app recognises the food in the photo, logs it, and provides the estimated calories. A third example of Prof Hoi’s applied research is in the area of computational finance, specifically on Online Portfolio Selection, which sequentially optimises a portfolio over a collection of assets to achieve certain investment targets (such as maximising the cumulative wealth). Prof Hoi and his team had explored state-of-the-art online learning techniques for building a family of online portfolio selection algorithms and achieved promising results through extensively backtesting the strategies on large-scale historical data. Prof Hoi received his Bachelor degree in Computer Science and Technology from Tsinghua University in China, and his Master and Ph.D degrees in Computer Science and Engineering from the Chinese University of Hong Kong. He joined SMU SIS in 2014. Prior to joining SMU, he was a tenured faculty member at Nanyang Technological University. In addition to teaching undergraduate and postgraduate students, Prof Hoi is also a lead Principal Investigator at SMU’s Living Analytics Research Centre . Over more than 15 years of his academic career, Prof Hoi has published more than 200 papers in refereed conferences and journals. His publications have been widely cited, as reflected in a total of more than 8,000 citations, and a high H-index of 51 which is a metric that measures both the productivity and citation impact of the publications of a scientist or scholar. In addition to academic impact, his work also yielded significant impact to industry through his strong working relationship with industry partners. Besides his academic and research contributions, Prof Hoi has also served as an organiser, area chair, senior programme committee member, programme committee member and referee for many top-tier conferences, and an editorial board member for many international journals. He is currently the Editor-in-Chief of Neurocomputing journal, and the Associate Editor of IEEE Transactions on Pattern Analysis and Machine Intelligence. 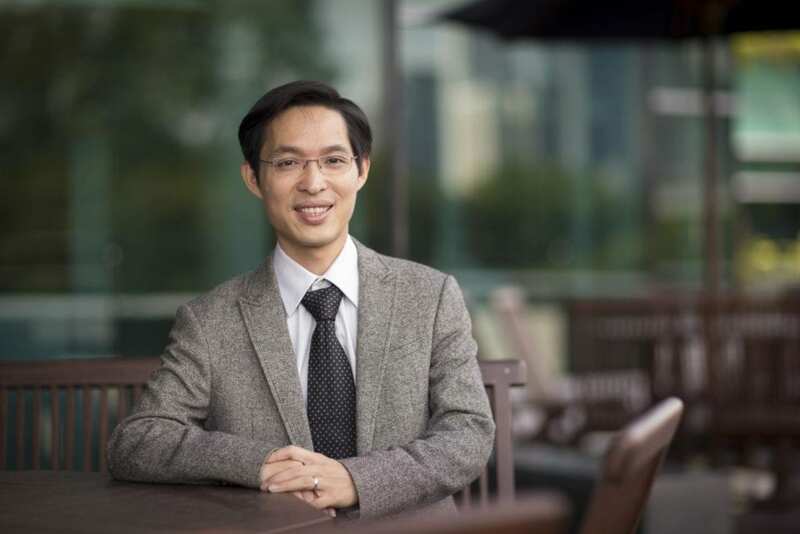 Prof Hoi was the recipient of the Lee Kong Chian Fellowship in 2016 and the Lee Kuan Yew Fellowship in 2018 at SMU due to his research excellence. Human-like Intelligent Systems: the goal is to build an intelligent learning system that can learn knowledge quickly and adapt it for new scenarios like the way human beings can do. Dedicated to the advancement of technology, the IEEE publishes 30 percent of the world’s literature in the electrical and electronics engineering and computer science fields, and has developed more than 1300 active industry standards. The association also sponsors or co-sponsors nearly 1700 international technical conferences each year. If you would like to learn more about IEEE or the IEEE Fellow Program, please visit http://www.ieee.org. Home to over 10,000 students across undergraduate, postgraduate professional and postgraduate research programmes, SMU is comprised of six schools: School of Accountancy, Lee Kong Chian School of Business, School of Economics, School of Information Systems, School of Law, and School of Social Sciences. SMU offers a wide range of bachelors’, masters’ and PhD degree programmes in the disciplinary areas associated with the six schools, as well as in multidisciplinary combinations of these areas.